Conditions: Perfect! Early spring, still a couple of inches of fresh powder each morning! Low avalanche danger at the time. Difficulty: There are plenty of slopes out there from beginner to expert! Pet Friendly: A Sled dog? Mt. Rainier National Park has endless places to explore 365 days out of the year. 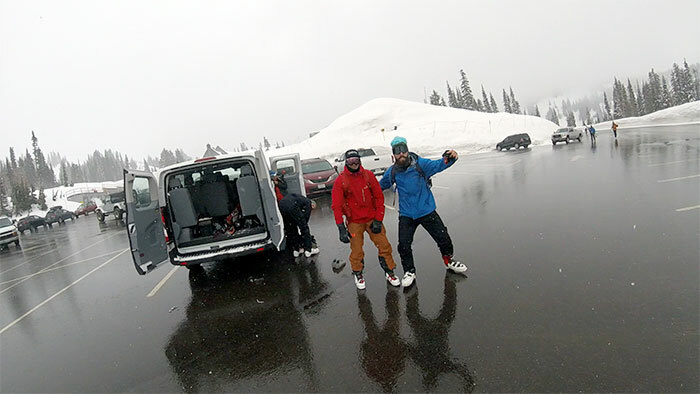 On this particular trip, we set off to chase some fresh powder from Paradise parking lot for a couple of days. 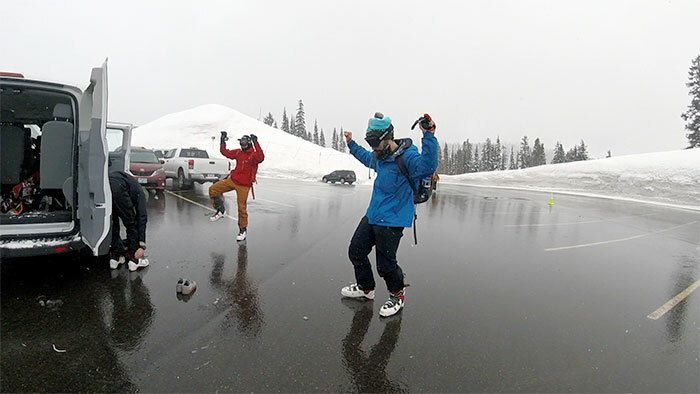 Whether you're a skier or snowboarder used to just riding at the resort or a big-time pow chaser there is plenty of fun to be had on the plethora of slopes that Mt. Rainier National Park has to offer. 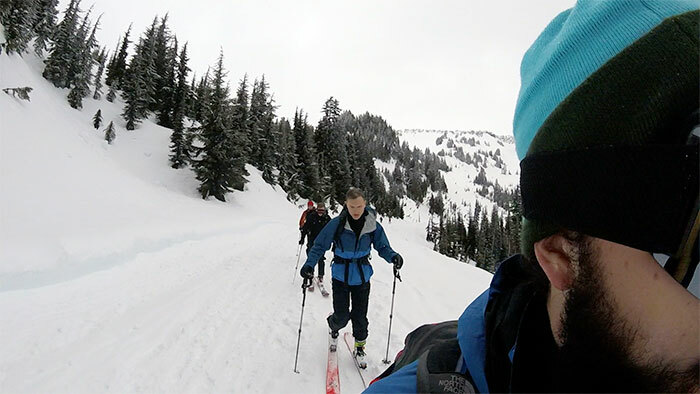 I will start by saying that I do not advise anyone going into the backcountry without the proper equipment, training, and education to deal with the risk of avalanches. If you are unaware of what equipment and training you might need I'd suggest stopping by Next Adventure and asking them. 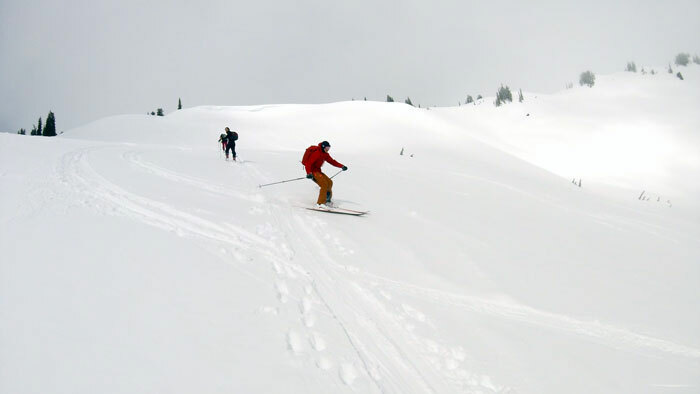 Once you have avalanche safety under your belt there are slopes for all different types of skiers in Mt. Rainier National Park. Since it’s about a 3-hour drive from Portland, we decided to spend 3 full days up there. Each night staying at "The Lodge near Mt. Rainier" (Yes, this is the name of the place lol). There are also other places to stay like campgrounds and motels depending on the time of year. Or you could decide to do some snow camping, but this would involve a lot more preparation. Basically, each day we set out from Paradise parking lot in search of new slopes. We each had looked over topo maps of the area and had some routes planned. Avoiding terrain traps and anything too steep. From there we just explored. 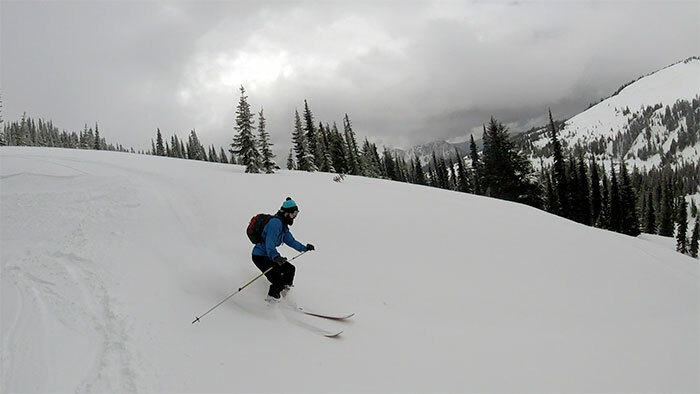 This was my first time on backcountry bindings, so it did take a bit of getting used to. But the fact that I got to ski fresh powder 3 days in a row blew my mind. 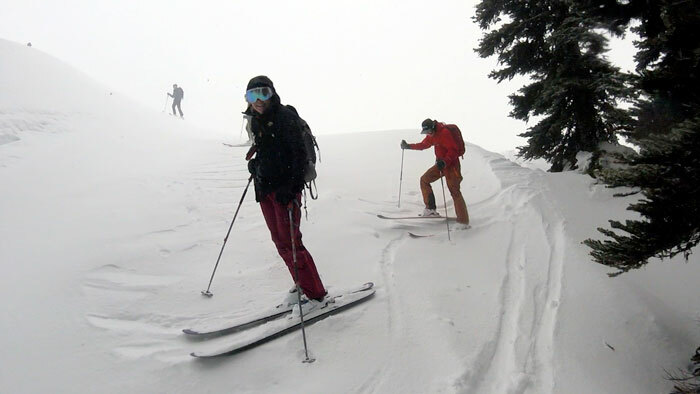 I also found the workout of putting skins on and touring uphill for your next run to be so rewarding. It was the perfect combination of physical endurance, pure bliss, and adrenaline, plus a way more in-depth time in nature compared to your typical day at the resort. All in all, the terrain near the Paradise parking lot was a perfect learning ground for me and the snow was great. Way lighter and fluffier than on Mt. Hood. I will for sure be making many trips up there this upcoming season!